i don't have a green thumb....i'm not a gardener by any stretch of the imagination (in fact, the plants i bought over a week ago are still sitting in front of my house waiting to be planted).... BUT i am LOVING these boxwood (? is that the right word) in those woven baskets. my question is: do you have to take them out every time you water them??!! 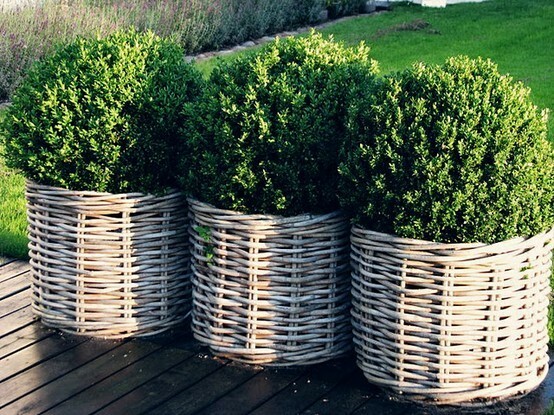 I love the idea of boxwoods in baskets too! I have been thinking about doing this and to avoid mildew-y baskets I am thinking of cutting the bottoms out of the basket just planting them in pots and sitting them inside the basket. I think that could work?? Such a springy post! Love it. I don't have a green thumb either, but I love those basket planters! Such a great color pallet - perfect for spring! love the boxwoods in baskets (you could also do dwarf yaupons)! i would plant them in pots that will sit inside the basket and make sure to put a saucer underneath the pot to catch the water. otherwise, the bottom of the baskets will disintegrate over time. hope that helps! Great pics. I am digging the boxwoods in baskets - fab! I love the baskets with the boxwood. Great idea! I have no green thumb...arrrrgh...I've given up on plants! those boots! i love, love, love. super chic with white tailored shorts and a white boyfriend blouse. love it. 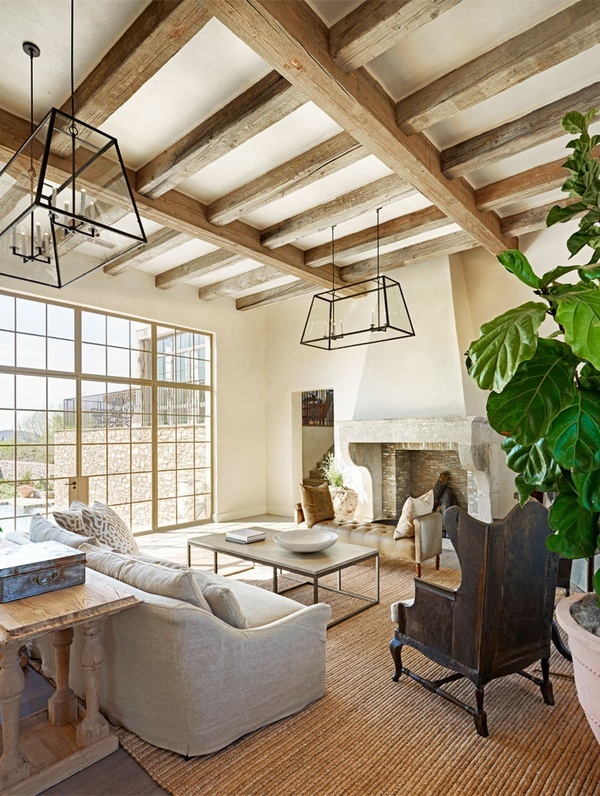 I LOVE the second image- the rusticity of that room is so comforting and calming to me. Beautiful post- time to try out my (not so) green thumb too! The plants are Buxus sempervirens "Suffruticosa. Dwarf English Boxwood is the common name. 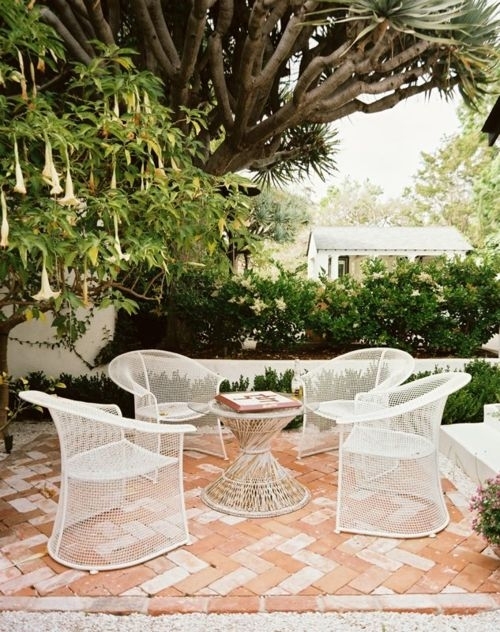 Your baskets will break down faster if they continually get wet and then dry out, but they are sure pretty with the boxwoods. You could put a large tray in the bottom, but you'd still have to drain the tray or the boxwoods won't be happy. They need good drainage or they get all yellow and drop their leaves.